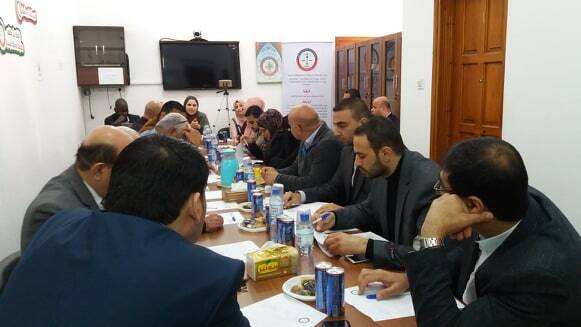 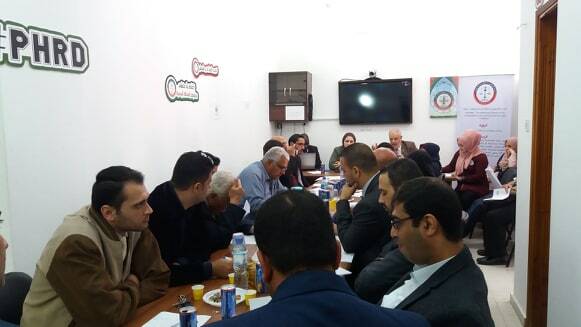 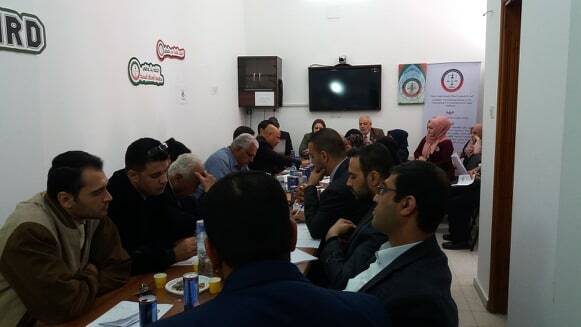 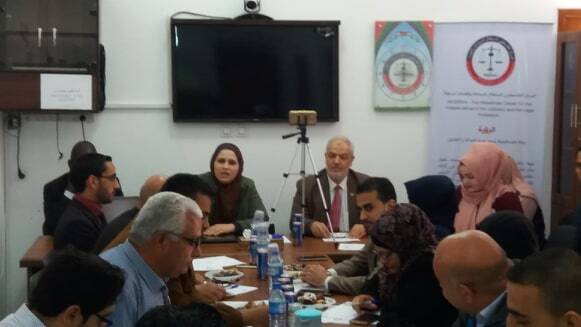 MUSAWA- the Palestinian Center for the Independence of the Judiciary and the Legal Profession has conducted a round table meeting to discuss militarizing the police and how would it affect the people's right to access to justice. 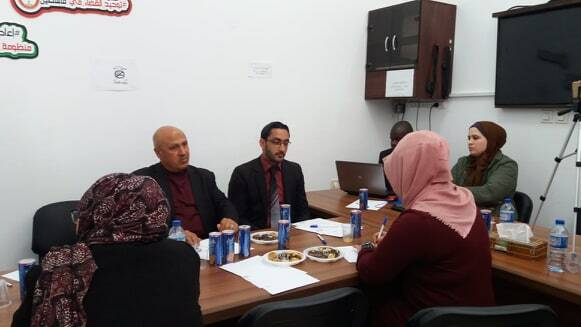 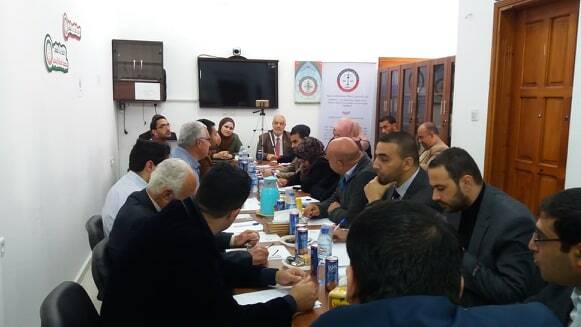 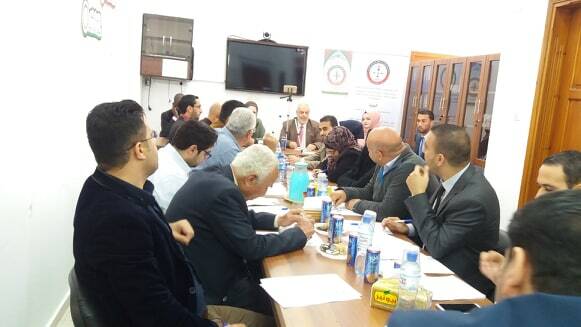 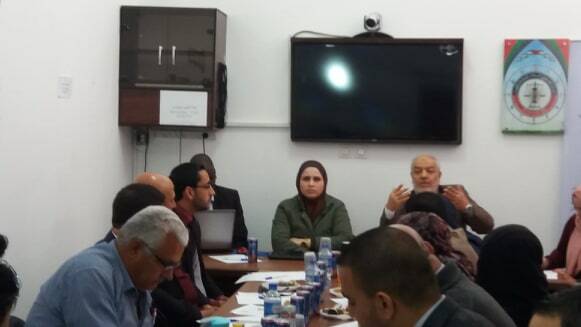 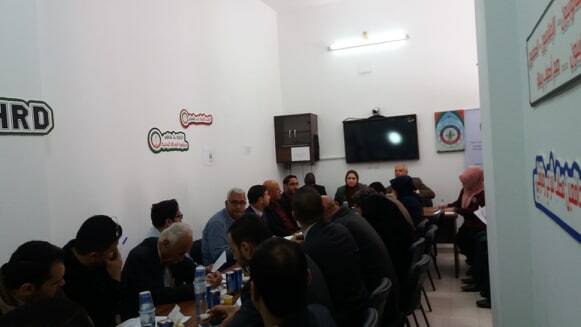 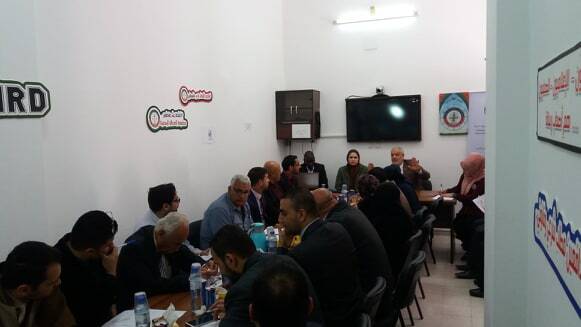 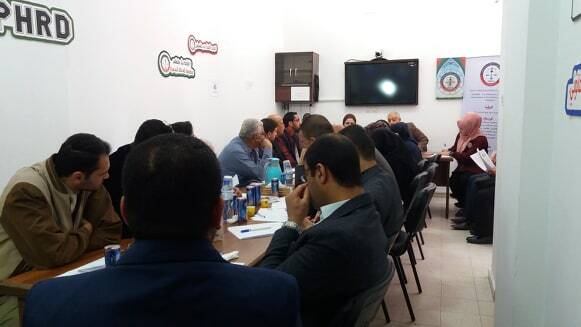 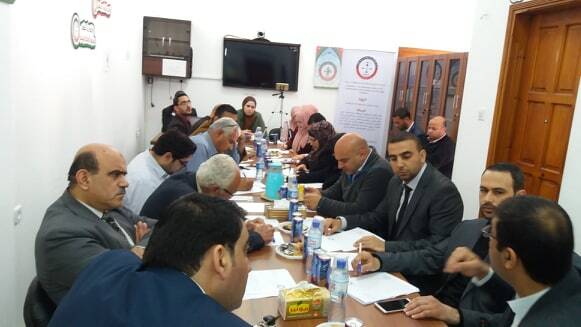 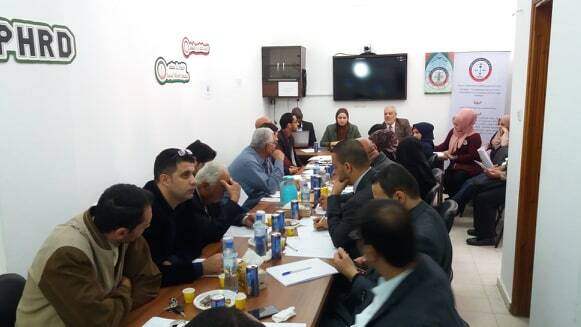 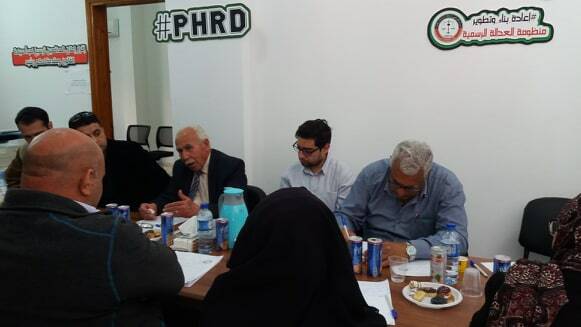 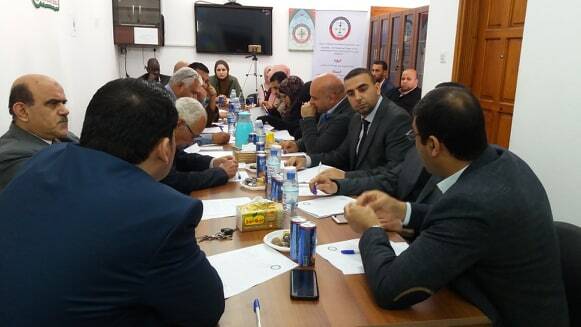 The meeting was held on Thursday, 11/4/2019, at MUSAWA’s office in Gaza, and it was attended by Dr. Abdulkareem Shbeir, MUSAWA’s General Assembly member, Adv. 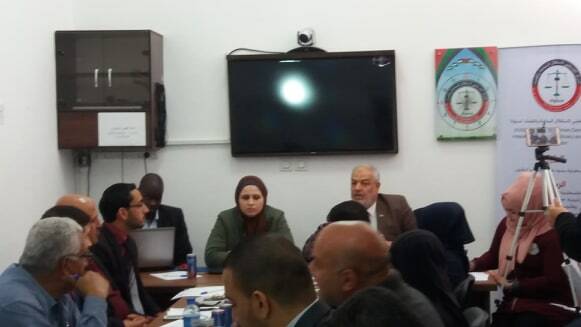 Rule Musa, MUSAWA’s Legal Monitoring Coordinator in Gaza, who both moderated the panel and discussion, in addition to representatives of official, civil and legal organizations, including Mr. Nafeth Al-Madhoun, the Secretary-General of the Legislative Council, Mr. Khaleel Al-Wazeer, a legal adviser from the Red Cross, Mr. Alaa’ Al-Skafi, a representative of Addameer organization, Mr. Sameer Al-Mana’meh, a representative of Al Mezan Center for Human Rights, Mr. Anas Al-Barqouni, a representative of The Independent Commission for Human Rights, Mr. Mohammad Al-Lahham, a military prosecutor, Mr. Sami Al-Najjar, Gaza’s Chief Prosecutor and the head of the Human Rights Department, Mr. Nael Shamlakh, a prosecutor, Ms. Safaa’ Abdulaal, a representative of Ayshah Association, Mr. Ayman Abu-Eisheh, the president of the Sharia Bar Association, in addition to Mr. Hjazi AlpQershalli and Mr. Faraj Al-Shurafa, who are two of the senior lawyers in Gaza Strip. 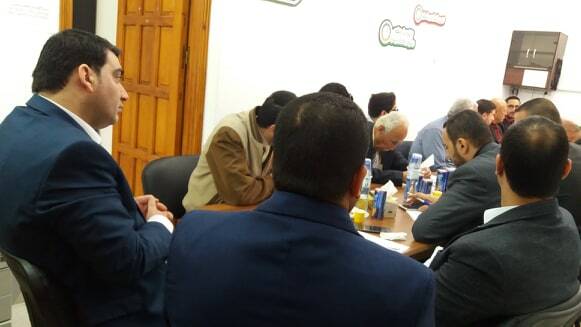 Taking the initiative of demanding the cancelation of the provisions of article 63 of the Code of Military Justice of 2008, to end the contradiction between the two texts and to identify the dependencies. 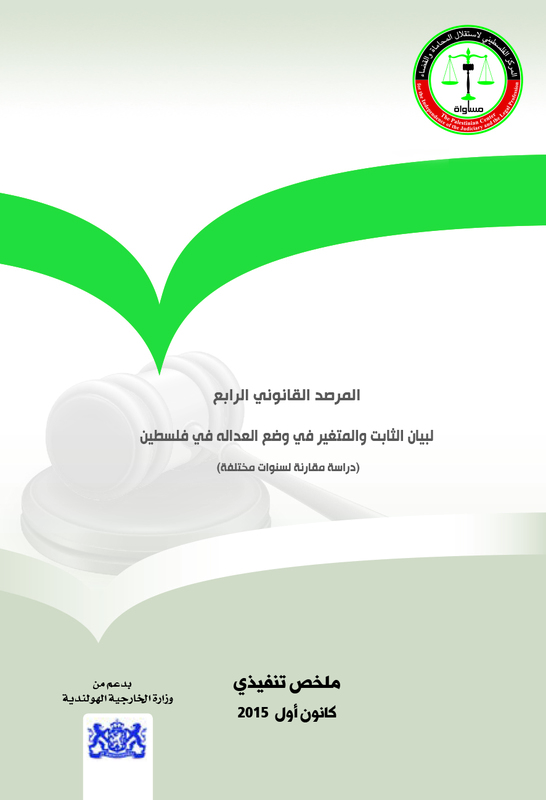 Adhering to the Basic Law, particularly the part that provides that the military judiciary’s jurisdiction is limited in military affairs. 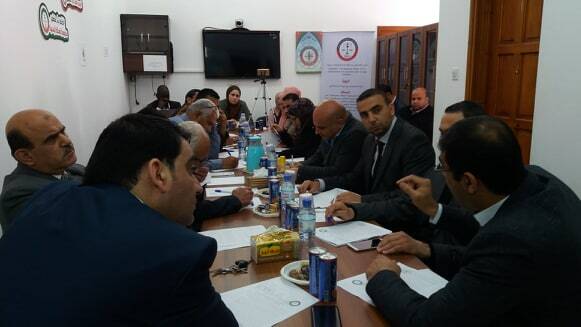 Addressing the ones in charge to bind the police officers to introduce their selves with their first names rather than giving themselves nicknames like “Abu ..” especially when receiving civilians’ complaints, while promoting awareness among them of the need to address the filed complaints duly. 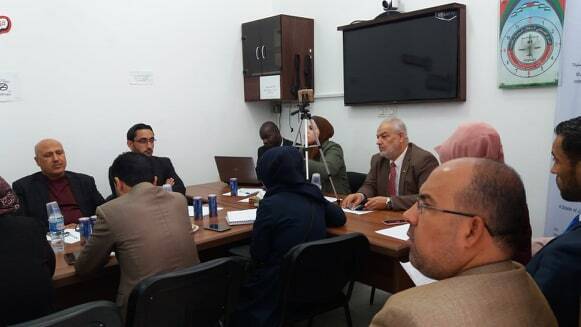 Activating monitoring visits to the Attorney General to monitor the arrest places and jails, to begin with.